Okay, it's been a couple of weeks and it's time for Evan's Most Favored 2006 Awards. As you may or may not know, the eligibility is based on my reading, seeing, hearing, etc. 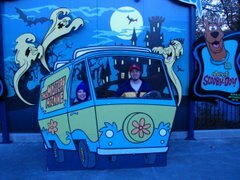 in that given year. For instance this years fiction award goes to a book that was published June 1, 2004. However, I read the book in 2006, therefore it is eligible. Remember, these are very fun favorites that you could feel relatively good about supporting. So, without further explanation, Evan's Most Favored 2006 Awards. This was not particularly a difficult decision as 2006 was a year of mostly unmemorable movies. There were a few that stood out, even a made for TV movie (Sometimes in April about genocide in Rwanda in 1994). But the film selected for this category impacted me on several levels. It deals with some of the same issues as last years Most Favored Movie, death of a parent, juvenile main character, non US setting. And the Most Favored Movie 2006 is . 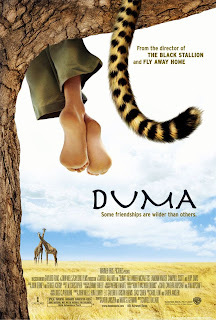 . . Duma, directed by Caroll Ballard. As I said earlier, this book was released in 2004, but I didn't read it until 2006. It's author is relatively unknown, but anyone who writes a murder mystery involving rockabilly, taxidermy, and communism isn't sane enough to go wrong. And the Most Favored Printed Work of Fiction 2006 is . 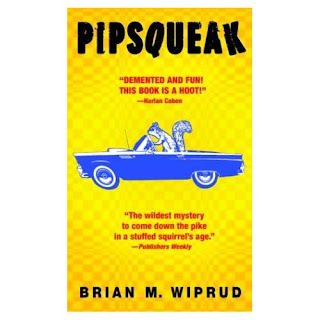 . . Pipsqueak by Brian Wiprud. This is always a difficult choice as there are so many great books out there. This year, though, I read three that should be given particular attention: Myth of a Christian Nation by Gregory Boyd, Most Moved Mover by Clark Pinnock, For All the Saints? by N. T. Wright. And the Most Favored Printed Work of Nonfiction 2006 is . . . For All the Saints? : Remembering the Christian Departed by N. T. Wright. This is a new show for me. It was chosen for its simple complexities. Not merely because it's another mystery police procedural, but for its nod to Sherlock Holmes in a institutionalized sort of way. And the Most Favored Television Show 2006 is . . . Monk. This is always a difficult category for me because it's such a limited field. Ricky Jay stole the title from Penn and Teller last year who held it for two years before that. They took it away in 2003 from Lance Burton. This year they take it back because of their hit Showtime show. And the Most Favored Magician 2006 is . . . Penn and Teller. This is another difficult category because I am so particular about what I listen to. I demand quality writing and overall sound. Julia calls me a music snob. I am a huge fan of Punk Rock and the Blues, but eventually we grow up. This year the award is based on his Songs for Silverman album as well as his soundtrack to Hoodwinked. And the Most Favored Band/Musician 2006 is . . . again . . . Ben Folds. Good to have you back, I've missed your writings. You had me worried about the Glen Beck thing, thanks for clarifying. I would have to list The Colbert Report.